BOOT SCRAP WALLET, $42. Made from workshop scraps by the Cobra Rock Boot Company in Marfa, these wallets are simple, rugged and slim. Brown, oil-tanned leather complements the compartments for cash and cards. CONCRETE SOAP DISH, $22. 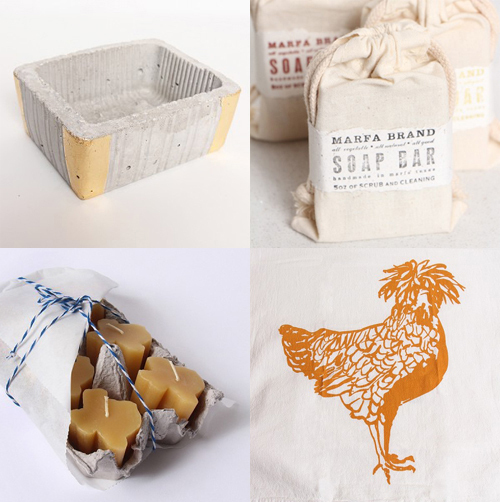 This soap dish is handmade in Austin and is perfect for a housewarming gift. Pair it with some Marfa Brand soap and you'll be feeling the love. MARFA BRAND CAMPFIRE SCENTED SOAP, $10. A woodsy smoky scent infused with lapsang souchong tea, this soap will have you dreaming of bonfires and crisp autumn nights. SET OF 6 TEXAS BEESWAX CANDLES, $12. These candles make the perfect little hostess gift without breaking the bank. They are hand-poured in Austin and their natural honey scent is just perfect. CHICKEN TEA TOWEL, $18. These tea towels are hand screened in Austin with love- it even says so on the sleeve. They make the perfect holiday or hostess gift and come in a large array of designs and colors. AUSTIN STAR PLANTER WITH SUCCULENTS, $210. 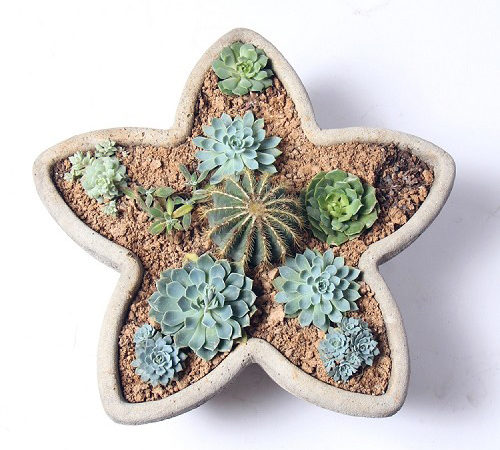 This concrete star planter is perfect for your Christmas cactus collection. Plus, it's a nice reminder of the rich heritage of our Lone Star state.